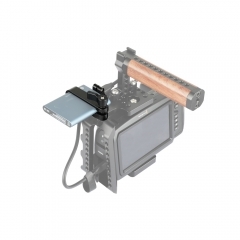 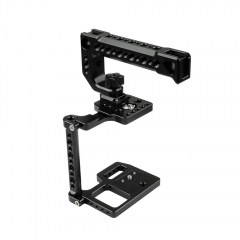 • This half cage is especially applied to the Blackmagic Pocket Cinema 4K camera, it is designed to provide a solid protection for your BMPCC and a mounting platform as well. 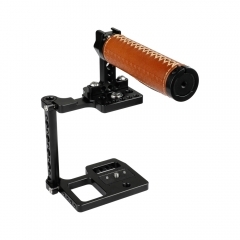 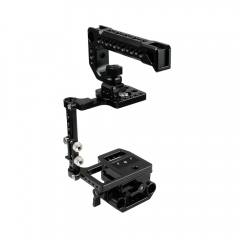 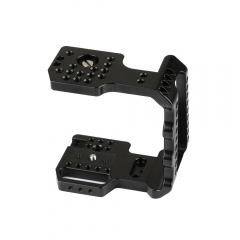 • It features two smart movable locating pins on the baseplate that enables you to put the camera directly into the cage frame before installation, then you can slowly press the locating pins up to help adjust the camera position and keep it straight without deflection. 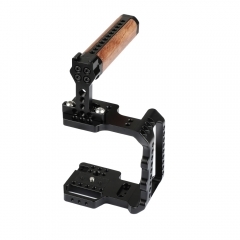 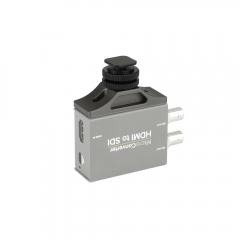 • It comes with multiple 1/4"-20 & 3/8"-16 mounting points on the top, bottom and left side while leaving all of the camera's vital controls on the right side grip, so the functions on the left side can be protected and easily accessible. 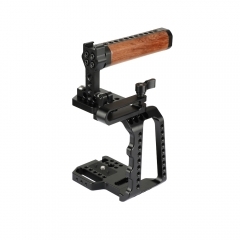 • You are free to develop more setups at your request based on this half cage, such as attaching it to a tripod, a stabilizer, a rod system or some others. 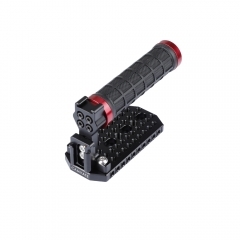 You can also attach shoe accessories to the shoe mount on the top handle, like a microphone, flashlight, etc.